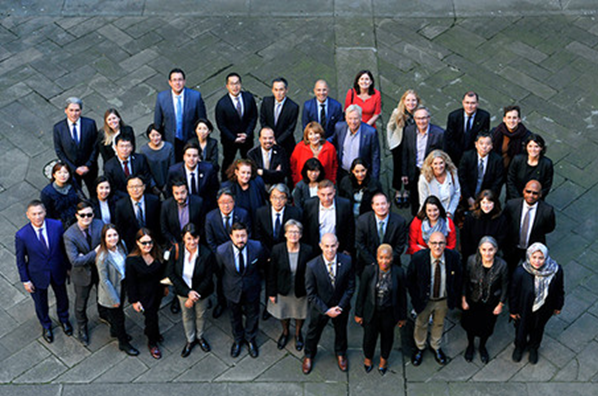 On 5-6 March, the City of Milan welcomed 50 participants for the Urban 20 (U20) Sherpa meeting including over 30 city representatives from cities located in G20 countries. During the meeting, cities and partners discussed the U20 policy priorities: climate action, social inclusion, and economic growth and agreed on reinforcing the link between those and the Sustainable Development Goals. Tokyo, the 2019 U20 Chair presented their plans for the 2019 U20 Mayors Summit to be held in Tokyo, 20-22 May. The U20 Sherpa meeting offered a space for discussion and progress on key aspects of the U20 initiative. First, the City of Buenos Aires, 2018 U20 co-Chair and host of the inaugural U20 Mayors Summit, reported on the impact of U20 within the G20 ecosystem. Second, cities discussed their policy priorities for 2019 and formulated clear asks and recommendations addressed to the G20. These will be captured in the U20 Communiqué currently under development. Finally, the Tokyo Metropolitan Government, 2019 U20 Chair and host city of the second U20 Mayors Summit shared progress on the event which will be held on May 20-22, 2019 in Tokyo as well as on the relations between the Urban 20 and Japanese G20 Presidency. For the first time ever, the Urban 20 is recognized by the G20 Presidency as an official engagement group. This Sherpa meeting was the first time, that cities gathered since the inaugural U20 Mayors Summit in Buenos Aires, which brought together 1’500 participants from 35 countries participated, including 35 cities. The event was covered in over 100 press articles and reached over 3 million people. National Argentine government representatives participated in the Summit, including the Vice President, the Chief of Cabinet of the President, the Minister of Foreign Affairs, the Argentine G20 Sherpa and the President of Argentina himself – who was handed the U20 Communiqué in person. In Milan, the representative of the City of Buenos Aires presented the impact of the U20 on the G20 ecosystem, including, its reference in the G20 High Level Principles on Sustainable Habitat through Regional Planning, which recommends cooperation with the U20 and The New Urban Paradigm, published by Think Tank 20 (T20) which recommends the establishment of U20 as an official engagement group. With Japan becoming the 2019 G20 chair, the chairmanship of U20 subsequently passed on from Buenos Aires and Paris, inaugural co-Chairs, to Tokyo on December 1st 2018. Building on the success of the 2018 U20 process, which launched an articulated platform to advocate for local perspectives in the G20 agenda, a priority of this new cycle of U20 will be to consolidate U20 as a reliable and sustainable platform for G20 cities to advocate for the inclusion of local priorities in the G20 agenda, to formulate clear asks to national governments and raise ambition on key issues of global and local relevance, particularly on climate action and sustainable urban development, its two priority focuses. In Milan, U20 Sherpas discussed the policy priorities and political messages to be brought to the G20 through the U20 Communique. The meeting resulted in a reinforced link between U20 city priorities, those of the overall local and regional governments’ constituency, and the 2030 Agenda. Climate action; adequate housing; migration; accessibility; ageing populations; access to basic services, and financing for sustainable infrastructure are the main policy areas that will be addressed by U20 cities’ messages to their national governments. Urban 20 (U20) is an initiative developed under the leadership of Mayor Horacio Rodríguez Larreta of Buenos Aires and Mayor Anne Hidalgo of Paris in 2017. It seeks to coordinate a joint position among the Mayors of G20 cities to inform and enrich the discussions of G20 national leaders. The initiative aims to highlight the expertise of cities in a range of global development issues; contributing with solutions to the G20, and formulating clear recommendations to national governments. The current U20 Chair is Governor Yuriko Koike of Tokyo. C40 and UCLG, as conveners, co-facilitate this city diplomacy process, and ensure the links between the Urban 20 and the broader constituency of local and regional governments.